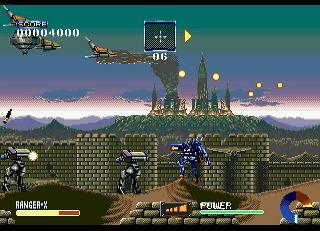 You are Ranger-X, a warrior operating a giant armored mechanical suit. 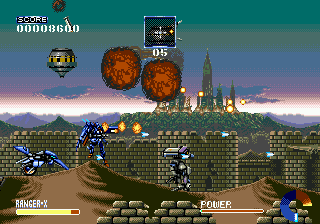 As you start off, Ranger-X is bombarded by flyer drones and missile-launching robots. Your mission is destroy each "target" throughout the various levels. 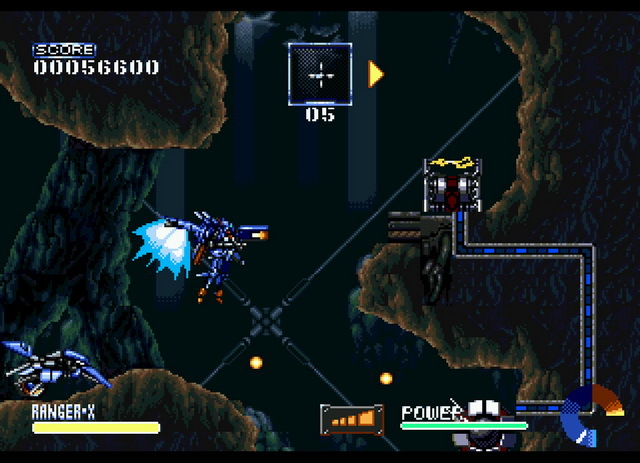 Ranger-X is equipped with a machine gun and various "special" weapons, which you pick up throughout the game. In addition to these weapons, Ranger- X has the EX-UP which allows you to change your special weapon. The EX-UP carries a machine gun its own that, when inside, targets any enemy that you are around. 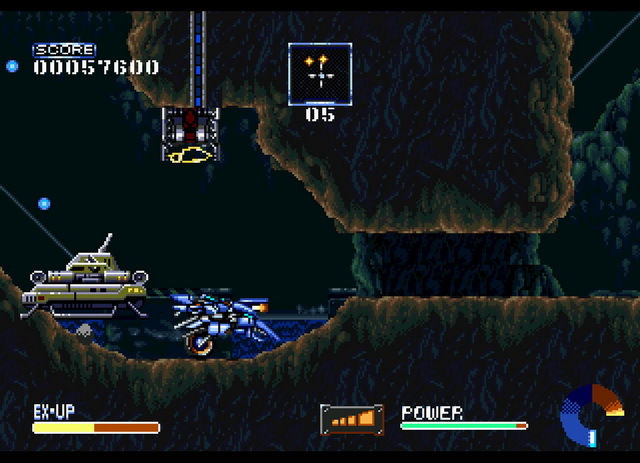 The object of the game is to make it through each level by destroying a number of designated targets. 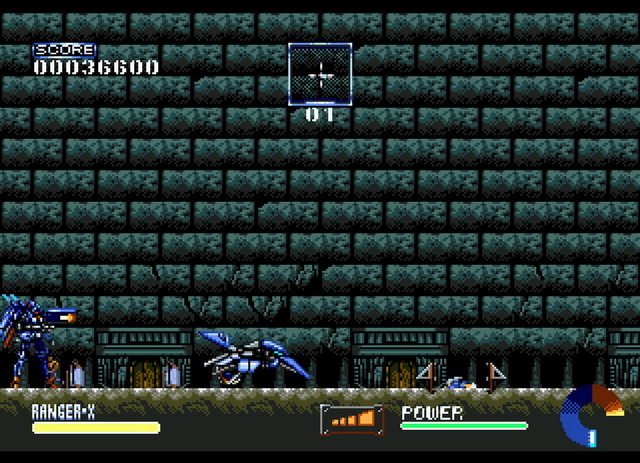 After all targets are eliminated, you are taken to a different area to fight the Boss. 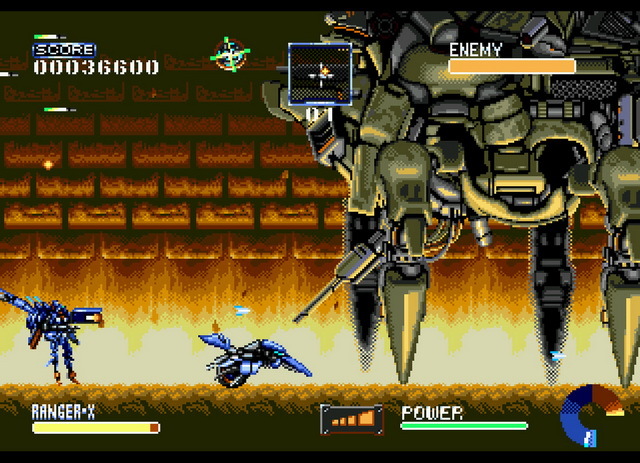 Each Boss has unique weaponry and assault techniques. 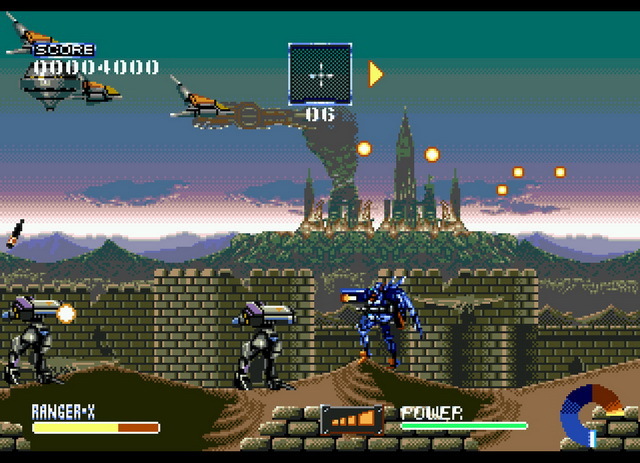 As Ranger-X approaches the first Boss, you see pedestrians fleeing in terror. One unlucky person falls to the ground and is captured inside some type of prison cage. You're overall goal is to destroy the final Boss and save the captive. Now you can add videos, screenshots, or other images (cover scans, disc scans, etc.) for Ranger-X (USA) to Emuparadise. Do it now! If you haven't noticed yet, we have a retro game of the day feature (top-right of the screen) wherein we feature a new retro title every single day! Now, you can vote for your favorite games and allow them to have their moment of glory. 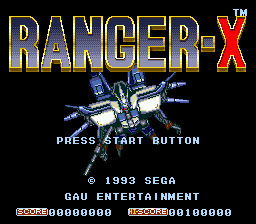 Click on the button below to nominate Ranger-X (USA) for Retro Game of the Day.